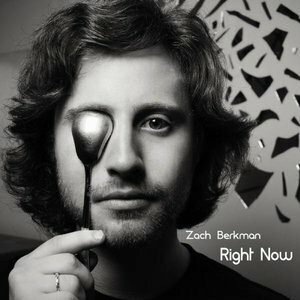 Zach Berkman is a producer, songwriter, and performer from Brooklyn, NY. He moved to New York in 2004 to study at the Clive Davis Institute of Recorded Music at NYU's Tisch School of the Arts, where he majored in recorded music and journalism. In 2009, he was a contestant on the MTV reality series P. Diddy's Starmaker, where he first performed on the national stage. Since then, his music has been featured on The Voice, Beauty and the Beast, Pretty Little Liars, Switched at Birth, Make It or Break It, 90210, and Degrassi. His last two solo albums, Reckless (2012) and The Valley (2011), debuted in the top 40 of the iTunes singer/songwriter charts. He has spent the last two years touring North America and Europe, and is currently working on a number of EP's, a new full-length album, and just finished an album with the band The District, entitled Through The Dark, all to be released in the next six months. His ever-changing Music Monday video series can be viewed on YouTube and Vimeo. Come and catch Bryant Park After Work. Its the perfect outdoor setting for our schedule of New York area jazz musicians and singer-songwriters. Zach Berkman will ring in the month of August, followed by Dan Levinson's Swing Wing.